In a single educational institution, there are hundreds of different forms for faculty and student as well as for the staff that are used every day by the school’s administration. One of the known categories of the school’s essential documents is current student forms. What Are Current Student Forms? Current student forms are provided by the school to their currently enrolled students. These can be used during the student registration period, as well as during the entirety of a semester where appeals, requests, and transactions will be executed. Regardless of when a current student form will be used, it must be kept as a part of the record-keeping or documentation protocol of the school after it is submitted and transacted. Examination forms are mandated by schools to be taken by their students to determine the student’s academic progress throughout a semester. However, conflicting examination schedules can cause enough stress to the student that can often lead to him having a failing grade. This is the reason why some schools, mostly universities and colleges, prefer to listen to their students’ requests and suggestions especially when it affects the school’s reputation in producing high-quality education and exceptional graduates. 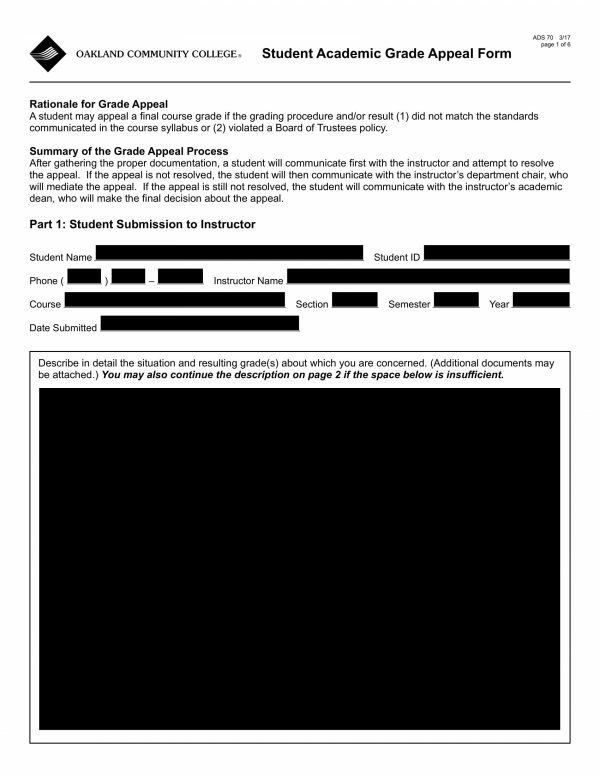 One of the most used documents for communicating with the students is known as an alternative examination clash request form. 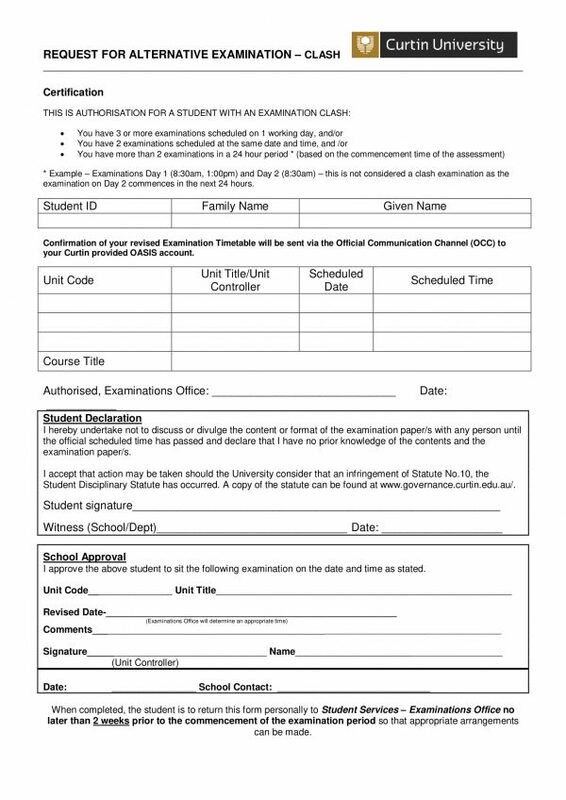 This form allows students to request the administration or the registrar to move the schedule or have his name rescheduled for a different examination opportunity if there are more than two exams in a twenty-four-hour period. 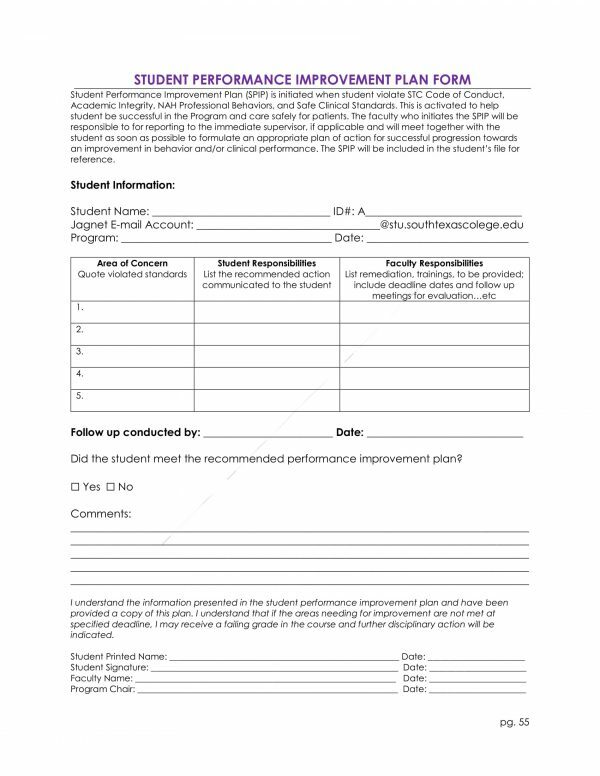 A student declaration section must be signed by the student and a witness who is a representative of the school or the subject department of the student’s course. Continuing one’s education is linked to huge financial obligations that the student and his parents must fulfill. But, there are other students who could not afford tuition fees and payments required to be completed for a semester which is why various scholarship programs and financial aid assistance that schools and organizations offer for students. For this, forms and documents must be used such as an application fee waiver request form for students who want to avail the tuition fee waiver opportunities of a school. 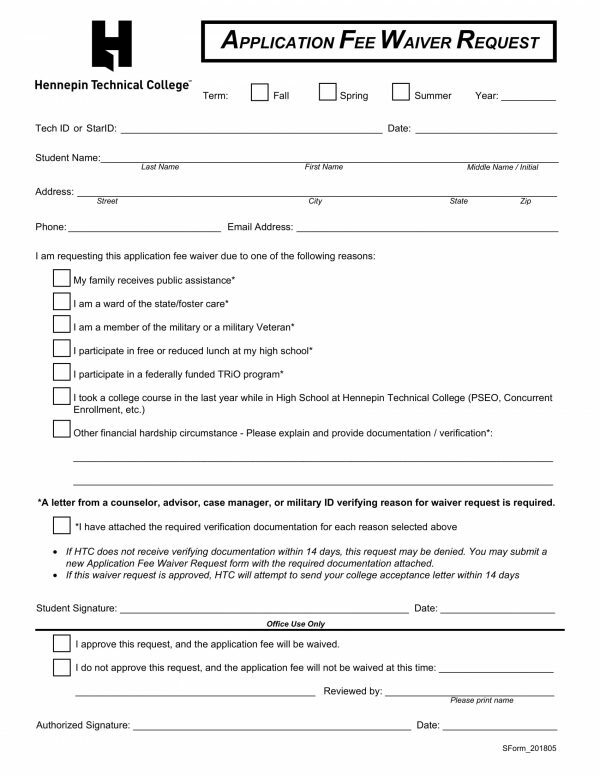 One of the eligibility requirements that a student must meet is that he must be a member of a military or a participant of a federally funded program. In the form, the student must disclose his identification and attach a verification letter or any required document to fulfill the waiver request. Students whose class schedules overlap one another should complete a class time conflict approval form. This document is specifically for informing the administration about the needs of the student to have him enrolled in another class schedule or assigned to another professor in the same subject but with a time that will not overlap the student’s other remaining subjects. 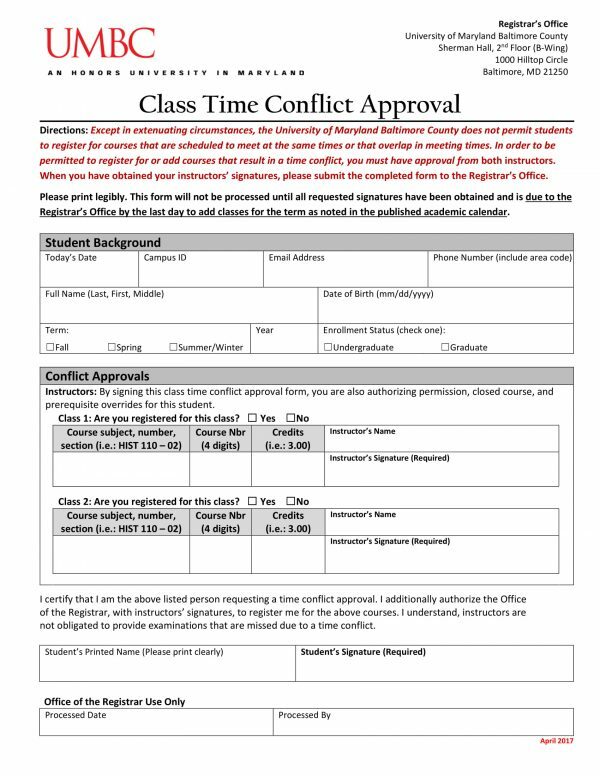 Three sections comprise a class time conflict approval form. The first section is allotted for the student’s or the requester’s background including his name, semester, contact information, and enrollment status. The second and the third sections are both for the signatures of the involved parties who are the student, and his two class instructors from the overlapping classes’ schedules. The date of when the request had been processed by the school’s office of the registrar will complete the required entries of the form along with the name of the person who executed the processing of the request. 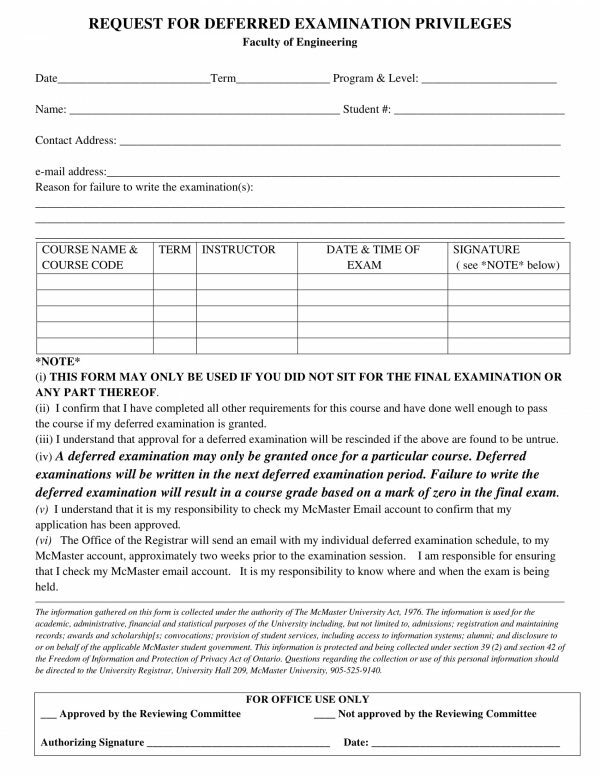 This form has an identical purpose to the aforementioned examination class request which is to move an examination schedule or request for another available schedule form. However, the difference between the two forms is that the clash request involves two subject or course examinations that are on the same day, while the latter is due to a missed schedule of an examination. In a deferred exam privilege request form, the requester or the student will have to disclose his reasons why he failed to take the first examination along with the details of the course or subject that he plans on requesting for a new schedule. The grades assigned by the teachers and instructors in school are the ratings of a student’s progress and educational attainment; however, if a student deems that his obtained grades were unfairly calculated and assigned, he can request for a grade review procedure to the administration. This procedure can be executed with the aid of a grade review form. 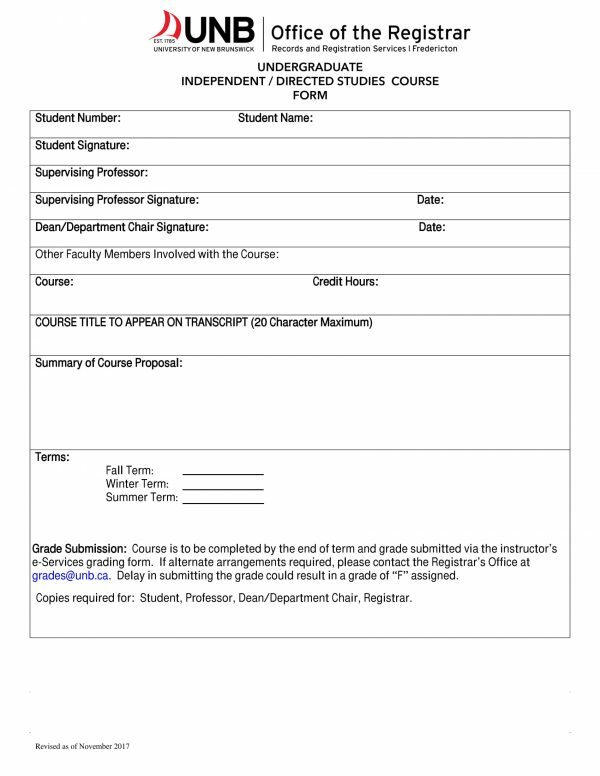 The form will collect the general information of the student and the course or subject wherein he will be reviewing his grades, and the signatures of the authorized individuals in the administration such as the student’s professor, the head officer of the student’s academic department subject, and the university or college dean. All the responses of the school’s authorized individuals must be stated in the form as well. These responses will define and determine what will be conducted for the student’s review request and if the student’s grades are indeed proving errors on the teacher’s calculations. There are some educational institutions who allow their students to continue their studies outside the campus residences. For this, an out-of-residence studies permission request form will be required to be completed by a student who wants to be out of the campus. The document mainly focuses on identifying the student, who is the requester, and the course that will be fulfilled by the student beyond the premises of the university’s campus or college. Securing that the name stated in a student’s academic transcripts and financial information is factual is important to be accomplished and conducted by any school administration. 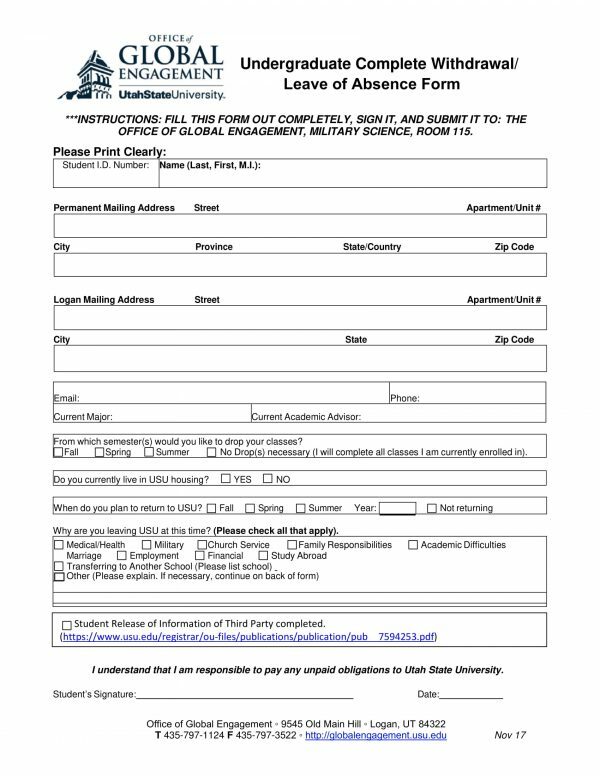 A student name change form is the exact document needed for catering the concerns and updated names of students. The chance form contains three sections wherein the first indicates the current identification of the student in the school. 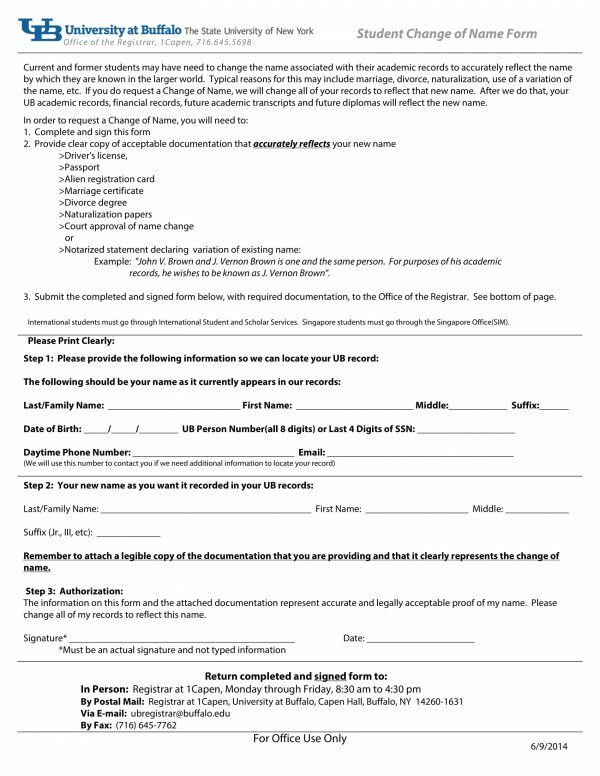 The second section of the form is where the student will disclose his new name, while the third section centers on an authorization form, which is for allowing the administration in gathering the existing records of the student to update his name change. 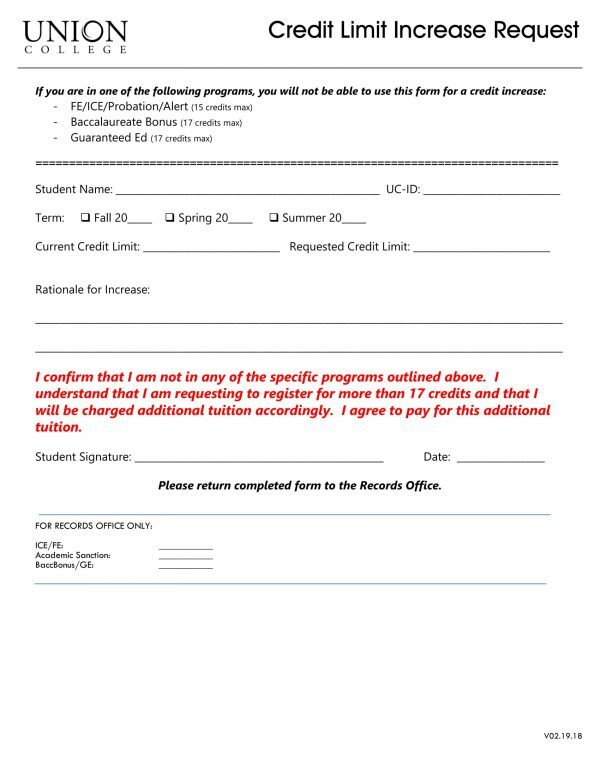 If a student plans to drop his classes or stop attending school, he must fulfill and submit an undergraduate complete withdrawal form. This document is significant for acknowledging the reasons why the student will be leaving the school’s premises as well as other details including the particular semester that he will return to school. Additionally, the student will also have to affix his signature on the area that states his obligation in providing payments for the unpaid fees for the courses that he took and enrolled in. you may also see Sample Petty Cash Receipt Forms. Changes are common in one’s identity, which is why schools and organizations must ensure that their records of the involved people, such as the students and teachers, are updated. By using current student forms, school administrations or their registrar office department will be able to identify which reports, data, and pieces of information will be changed upon the student’s requests. you may also see Sample School Information Forms. 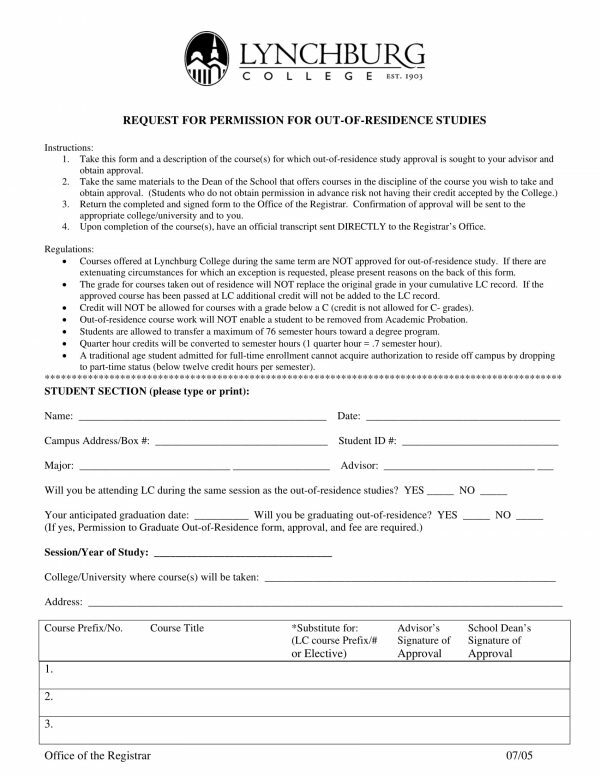 Current student forms include request forms and suggestion forms that are beneficial for the school in gathering the needs, issues, concerns, and problems of the students that they must address immediately. 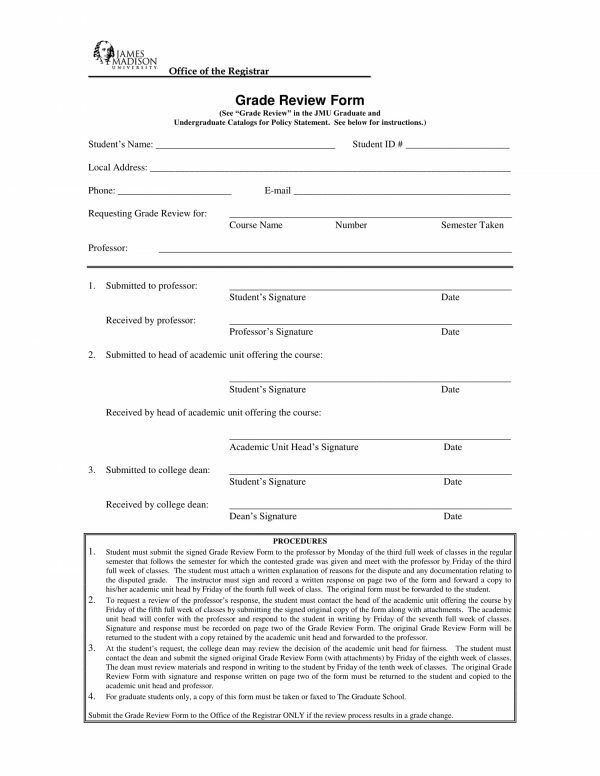 These forms must also state the details of the student’s requests and the expectations of the student of what will be the outcome or resulting output for the request. 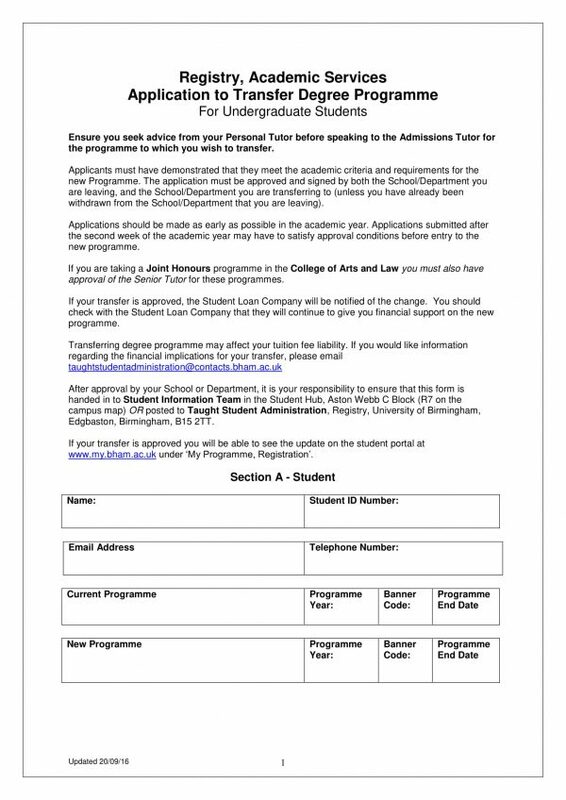 Moreover, the request forms must also state the requirements that student must comply and the expected time frame for when the request will be processed. Ensuring an open communication between the administration and the student body is important since this will contribute to the success of an educational institution. With the forms, school administrations will know if they have professors who failed to calculate grades based on the criteria of the school through a student complaint, as well as determine if a student is better off studying outside the campus for a better learning opportunity. With the aforementioned forms, any school administration will be able to distinguish what other documents they will need for their students. Nevertheless, it is important that the students will be informed and guided of how the forms will be completed to ensure the accuracy of information form disclosed in each part of the form.